and a script that is an add-on to the rezzer released the last week. 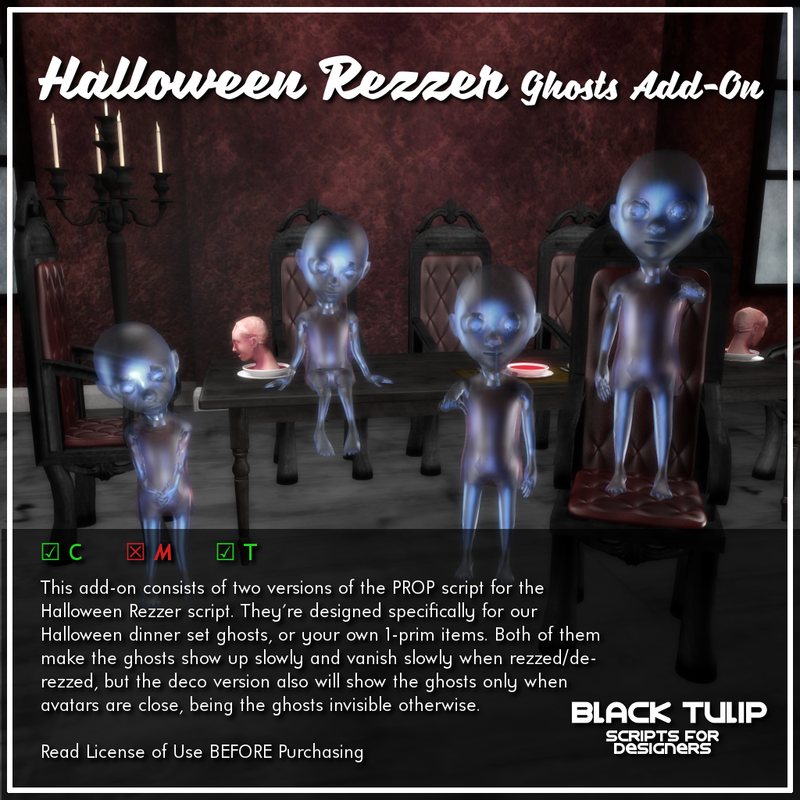 This add-on consists of two versions of the PROP script for the Halloween Rezzer script. They're designed specifically for our Halloween dinner set ghosts, or your own 1-prim items. Both of them make the ghosts show up slowly and vanish slowly when rezzed/de-rezzed, but the deco version also will show the ghosts only when avatars are close, being the ghosts invisible otherwise. Promotional price is valid until Monday, and because this add-on is related to the Halloween rezzer, the rezzer will continue to be 50% off for one more full week. Click here for your taxi!